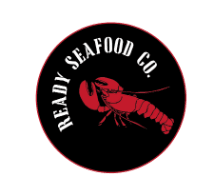 Our Commitment - Ready Seafood Co.
Our commitment to our customers is to provide superior quality, sustainable and traceable lobster products consistently throughout the year. We hold ourselves to the highest standards and we stand by everything we sell. Our commitment to Maine's lobster fishery is to do our part to protect the Gulf of Maine's unique ecosystem. The Gulf of Maine has supported lobstermen and women for generations. We now employ our own on-staff marine biologist to help ensure that this will continue for generations to come. Our commitment to education is to teach students about the proud history of lobstering in the State of Maine and the changing role that the fishing business plays in our community today. We offer co-op study programs to high school and college students. Ready Seafood staff regularly visits and hosts local middle and high school students to teach them about the lobster fishery. As young lobstermen growing up on the coast of Maine we were inspired when local lobstermen would come into our classrooms and speak. We are committed to educating and inspiring the next generation of lobstermen and women, scientists and stewards of the sea.